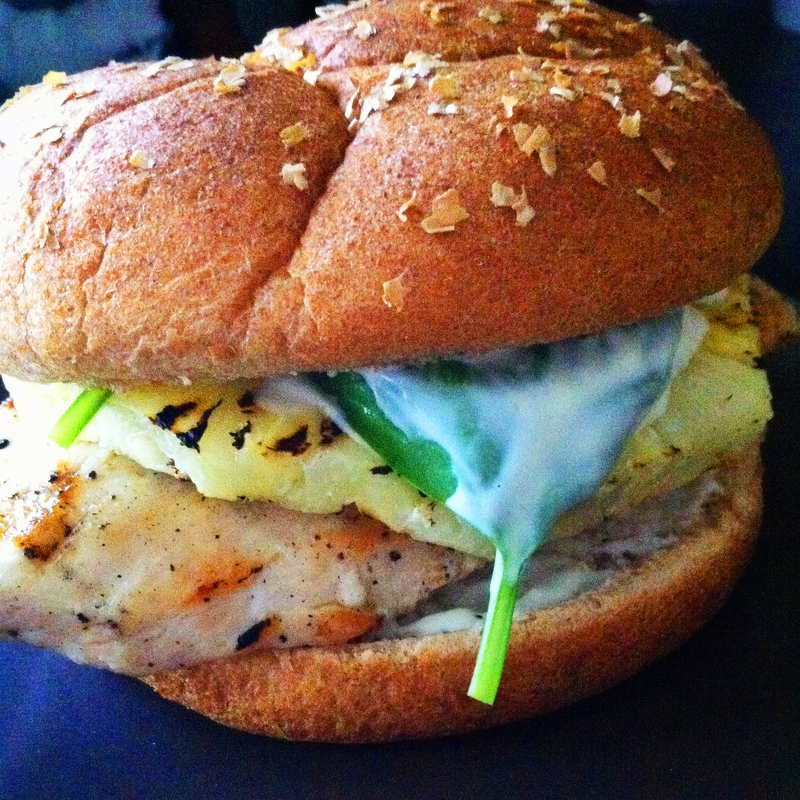 grilled chicken and pineapple sandwiches with wasabi mayo | omfg. so good. I’m a huge fan of wasabi. When I was in my wild n’ crazy 20’s I worked at a local sushi bar and absolutely fell in love with the stuff. I distinctly recall serving a scoop of it in dessert cup under the guise of green tea ice cream to an obnoxiously drunk guest one night. Happy birthday, free dessert! He threw up, we had a good laugh, I got a stern ‘talking to’ by the manager, all in all a pretty successful shift. This is me, allowing you a brief look at my darker side. Clean chicken breasts of any excess grossness (You’ll notice I’m compulsive about cleaning grossness from all meats. It’s your call.) Brush with vegetable oil and sprinkle with salt & pepper. Clean and core the pineapple then cut into 1/2″ thick slices. Juice the lime into a small bowl. To assemble the sandwiches, spread wasabi mayo on both sides of the bun. 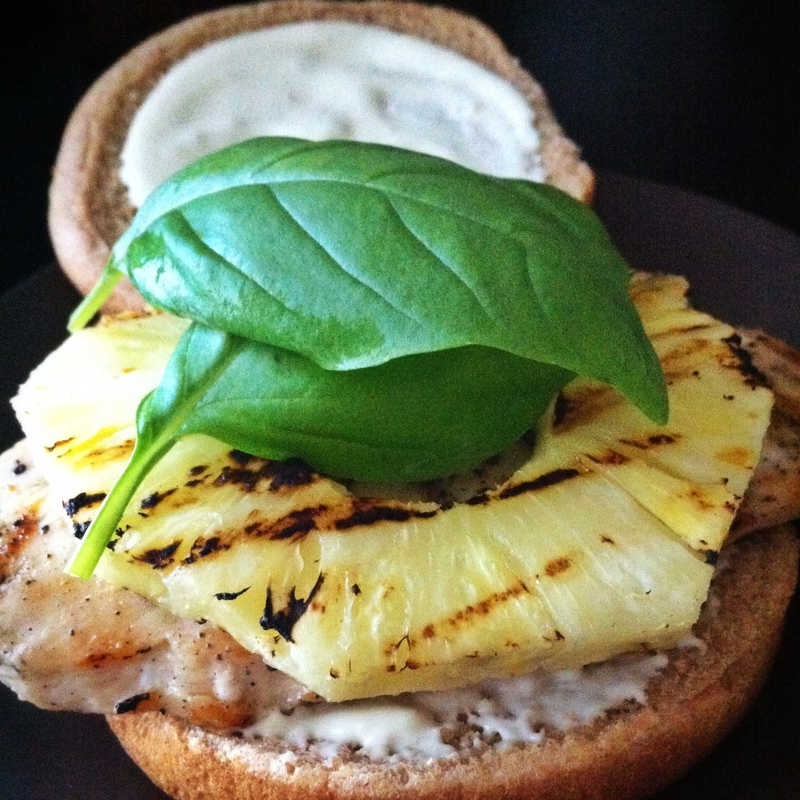 Add one chicken breast, one slice of grilled pineapple and a few fresh leaves of basil. Put the top bun in his rightful place. Pick it up. Take a bite. Mmmmmm. 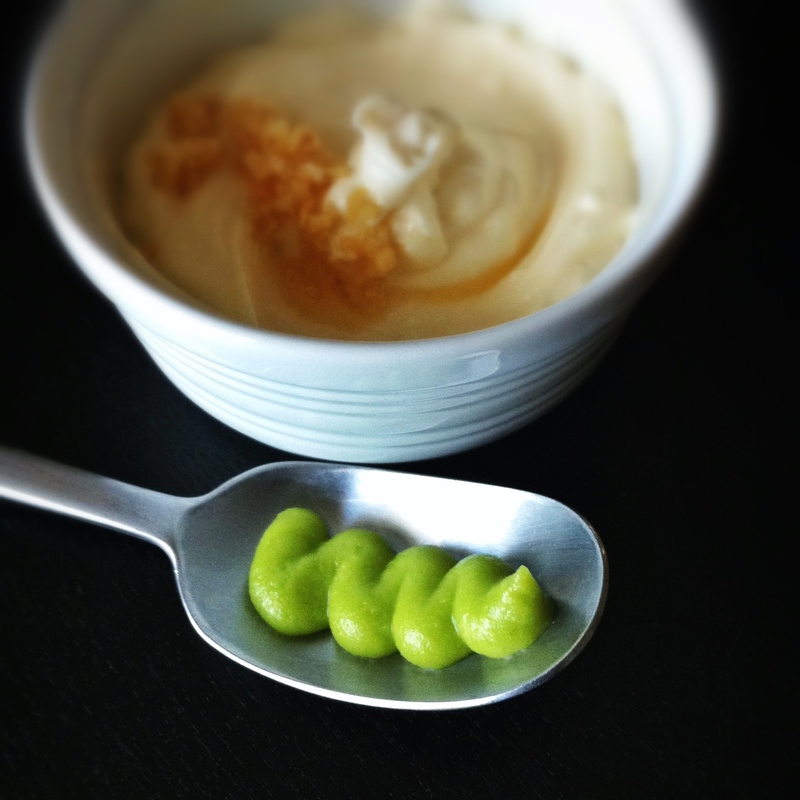 Wasabi Mayo.